The RSC Sir Geoffrey Wilkinson Dalton Poster Symposium provides an opportunity for talented young inorganic chemists (PhDs and postdocs) to present their work to their peers and senior representatives from industry and academia. The symposium, funded by the Geoffrey Wilkinson Foundation, is free to attend for successful applicants and we will cover up to £150 travel expenses. On the day there will be talks from Royal Society of Chemistry prize/award winners and there is also the opportunity to win significant prizes including bursaries to attend an international conference. The event will take place in Burlington House, London on the 27th March 2017. The deadline for poster abstracts is the 13th January 2017. Further information about the symposium and how to submit an abstract can be found here. 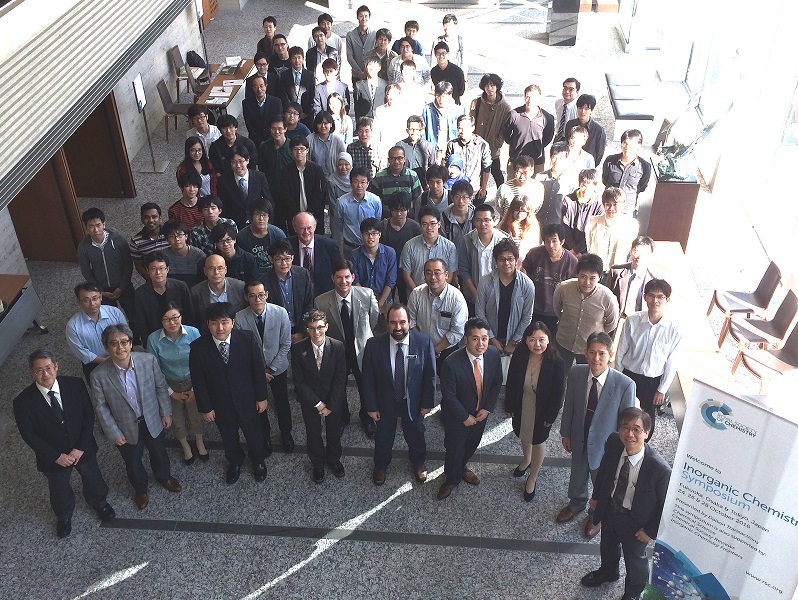 Our flagship inorganic chemistry journal Dalton Transactions was proud to co-present the Inorganic Chemistry Symposium which took place on the 24th October in Fukuoka, Japan. The symposium was co-presented with Kyushu University, Osaka University and the Tokyo Institute of Technology. It was also supported by Chemical Science, ChemComm, Chemical Society Reviews, and Inorganic Chemistry Frontiers. Amongst those speaking at the symposium were Dalton Transactions Executive editor, Dr Andrew Shore (Royal Society of Chemistry, UK) who gave a talk on: ​Publishing your research in high impact journals and Dalton Editorial board member: Professor Polly Arnold (University of Edinburgh, UK) whose talk was on: Architectural control of f-block organometallics for small molecule activation. The full list of speakers can be found here. The symposium brought together leading international scientists, delivering lectures which covered the broad scope of Dalton Transactions, from inorganic, organometallic, bioinorganic chemistry to photochemistry and inorganic materials. With three locations combined (Fukuoka, Osaka and Tokyo), there were over 260 attendees with 3 international speakers from the UK, China and US. The Royal Society of Chemistry also had one representative speaker and there were 19 Japanese speakers from 10 difference institutions. Further information about the symposium including a full list of speakers can be found on the website. You are currently browsing the Dalton Transactions Blog blog archives for November, 2016.